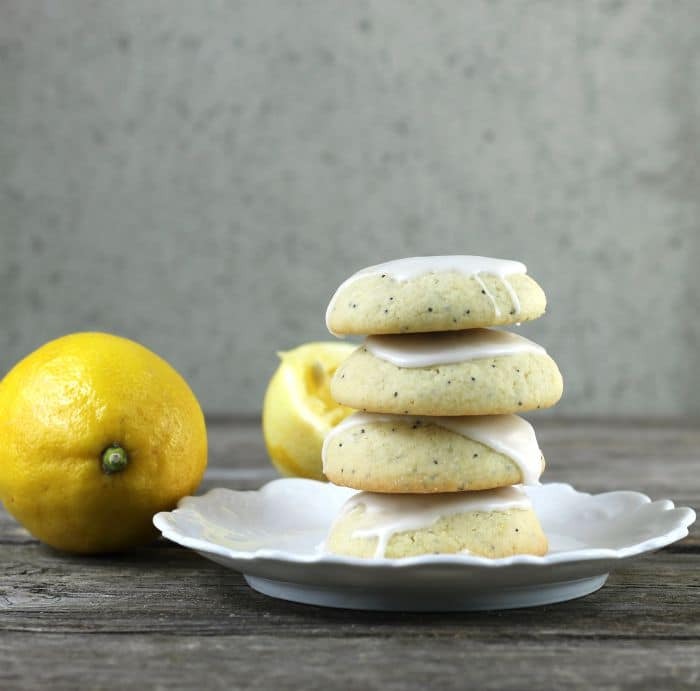 Lemon Poppy Seed Cookies a soft cookie with a touch of lemon and poppy seeds and topped with a tangy lemon icing. 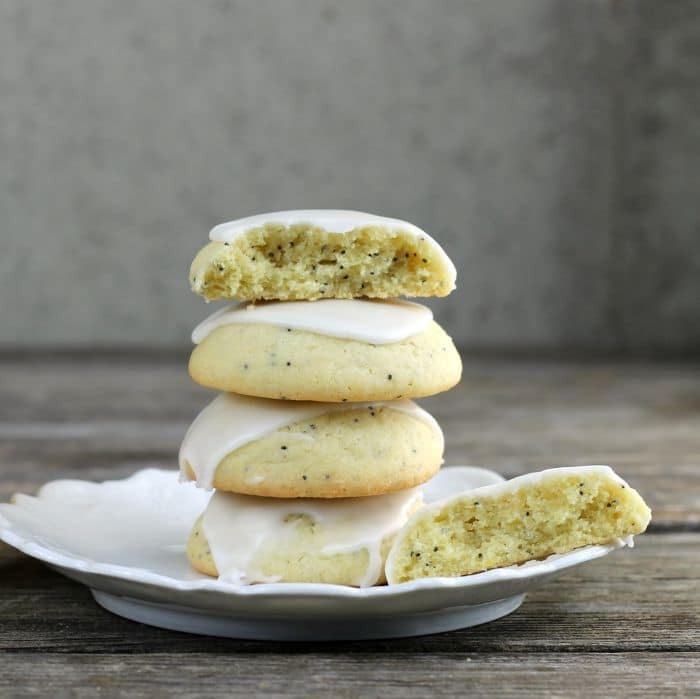 Lemon poppy seed cookies are super addictive, I dare you to eat just one. As I have mentioned before Mike is not a chocolate lover, he will eat it but it’s not his first choice. Now lemon, on the other hand, is one of his favorite flavors. I have to admit even though I am a big time chocolate lover I do love a good lemon dessert. That is where these lemon poppy seed cookies come in. 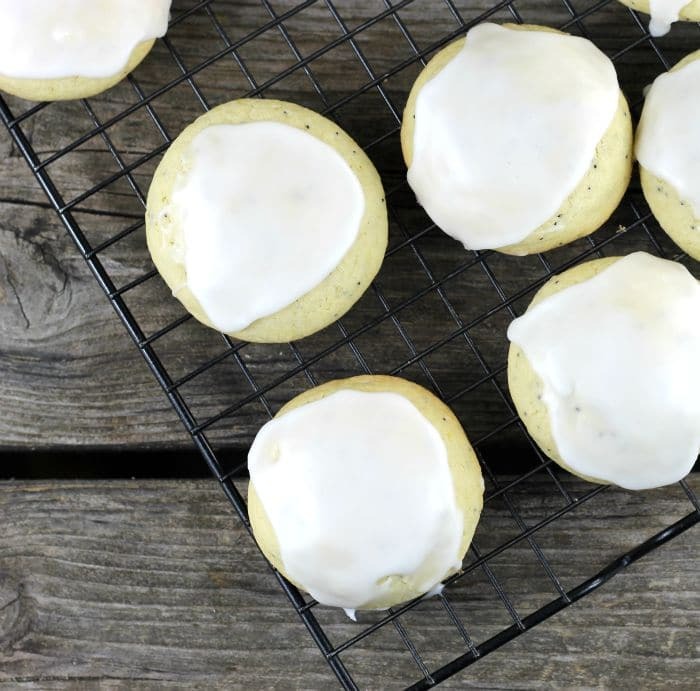 They’re a soft crumbly butter cookie topped with a lemony icing. 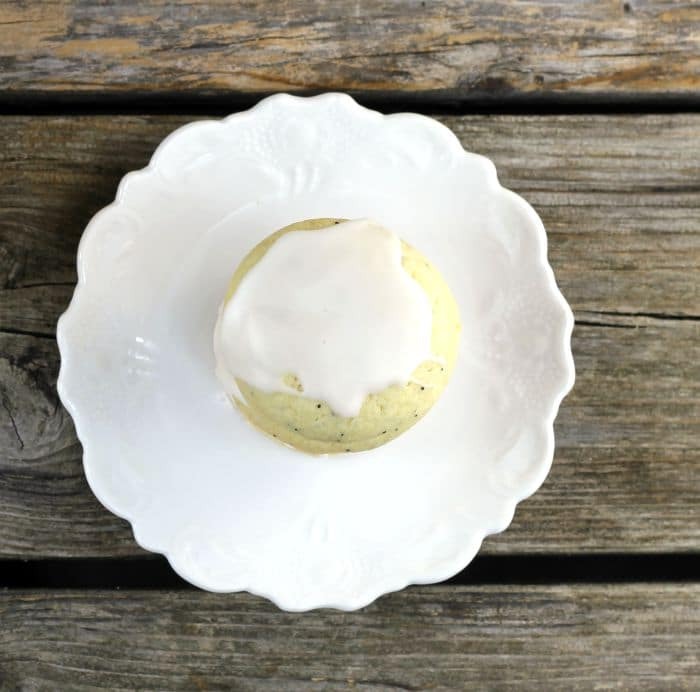 The cookie itself doesn’t have a strong flavor of lemon, but the lemon icing takes it over the top with the lemon flavor. If you like lemon I will say that there is a very good chance that you will love these cookies. Really it is hard to stop at just one cookie. Poppy seed is an oilseed from the poppy. The tiny seed has been harvested for thousands of years. The seeds are used whole or ground and are popular in bread and pastries. Are there benefits to eating poppy seeds? Poppy seeds add color and a crunch to baked items, but they are also nutritional. Just 1 teaspoon of poppy seed provides a measurable amount of calcium, iron, and zinc. Cream the butter and the sugar together. Add the eggs one at a time and mix in. Mix in the lemon juice and zest. Sift together the flour, baking soda, cream tartar, and salt. Add to the wet ingredients and mix in. Once the cookie dough is completed, roll dough into about 1 inch balls. Place on an ungreased cookie sheet. Bake for 10 to 12 minutes or until the bottom of the cookies are starting to brown. Remove from the oven. Then remove from the cookie sheet and cool completely on a cooling rack. While the cookies are baking mix together the lemon icing. In a small bowl add the powdered sugar and gradually add the lemon juice until you have the right consistency for icing the cookies. Once the cookies are completely cooled spread each cookie with the lemon icing. I love poppy seeds ! The combo of poppy and citrus is one of my favourite thing :-)) These cookies look seriously delicious and addictive! 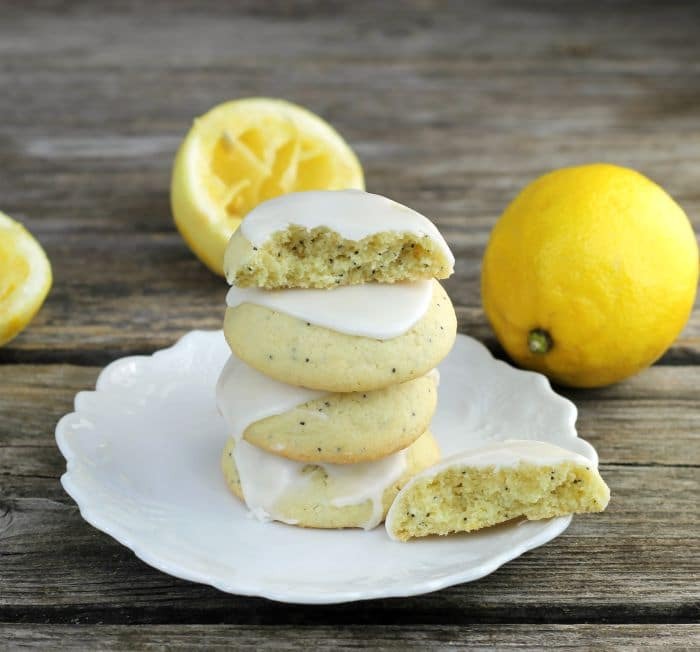 Lemon iced cookies…yes please. The look great and would be perfect with a cup of tea. I also love a lemon dessert, so thank you.